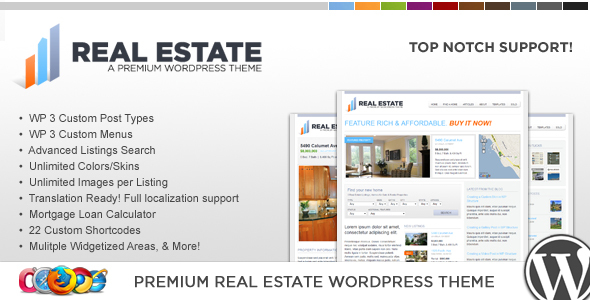 Hundreds of hours in development, WP Pro Real Estate 2 is the one of the most advanced and easy to use real estate theme for WordPress on ThemeForest, if not in the industry. 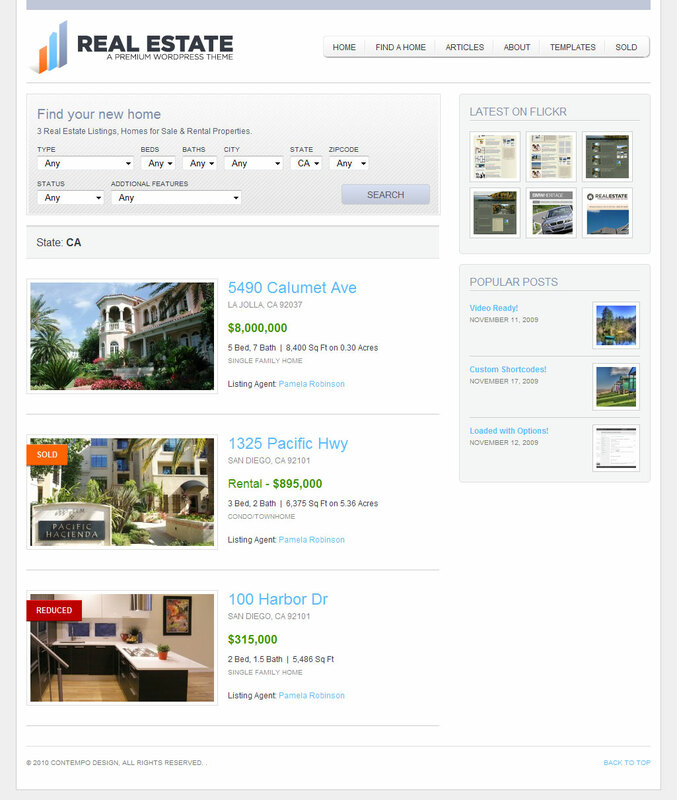 WP Pro Real Estate 2 makes use of WordPress 3.0’s Custom Post Types and Taxonomies offering unparalleled property listing management and search capabilities. With Google Maps integration, Advanced Search, Custom User/Agent Profiles, Easy Image Management and more! WP Pro Real Estate 2 can be used for more than real estate listings too, like a auto dealership, boat dealership, vacation rentals, review site and much more by easily customizing the taxonomies! 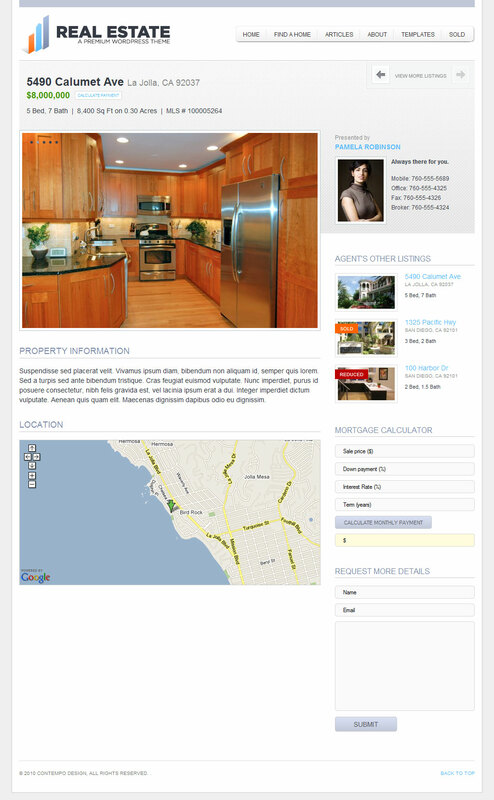 Looking for a Responsive Real Estate Theme? I’ve got a couple of those too, and they’re awesome as well! “The theme is not just a skin for your site, all the inner workings on the back end of things have been carefully thought out and features implemented to make a realtor’s life a breeze! 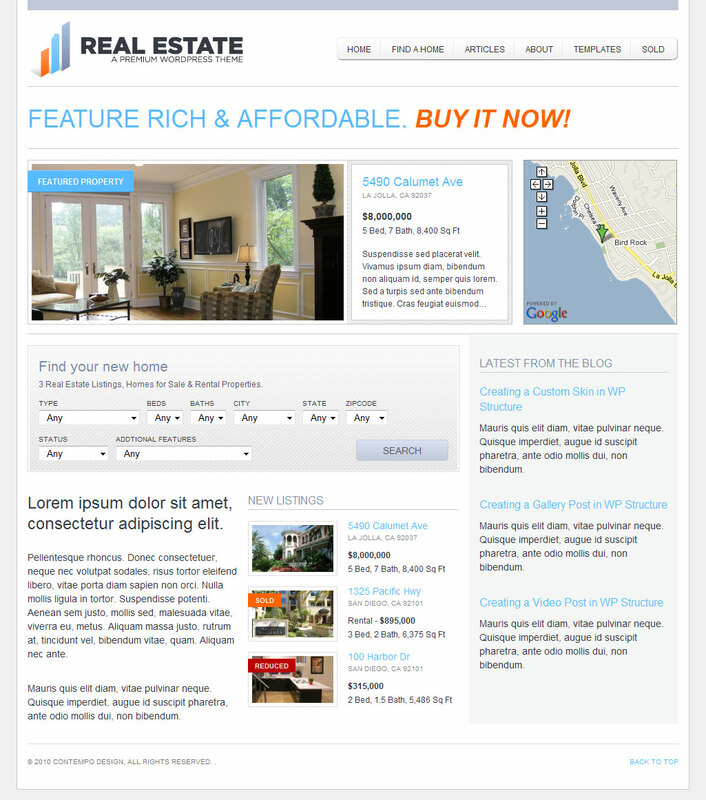 Take it from me I released my first real estate WordPress theme back in December 2008, since then I’ve gained the trust of thousands of customers. So you know you’re getting a top quality product from an experienced developer. Unlimited Images per Listing, easy upload and management. No More copy/pasting URL’s!